The holidays are upon us, with Thanksgiving and Black Friday gracing our calendars this week. This means lots of holiday cheer around the home, of course, and also lots of holiday decorations around your business, too. 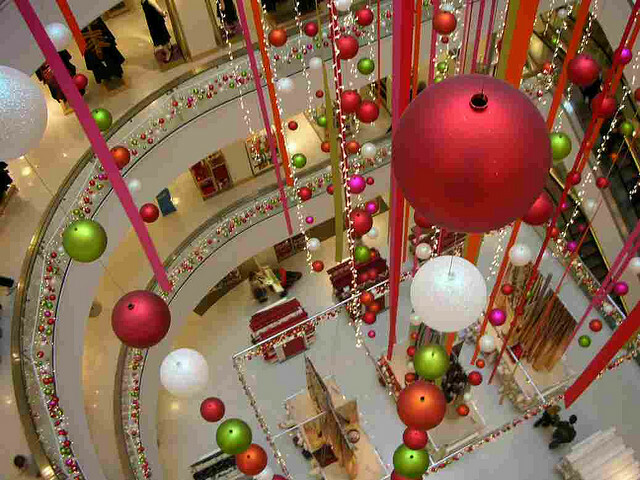 The trimmings and trappings of the holiday season bring unique risks to your business. Risk advisors (like myself) can help owners keep their facilities festive and hazard free during this happy and hectic time of year. Your culture of safety never should take a holiday (sorry for that groaner, folks, but it's true)! Do make sure new hires have a lay of the land. This is especially important if your business hires seasonal help to get through your crazy time of the year. Your unique facility is unfamiliar to newbies, even if they have tons of industry experience. Make sure they know where to find everything they need to do their work, and be clear about specific responsibilities. The goal is maximum efficiency! Don't fail to train on lifting techniques and ladder safety. Extra inventory, decorations, and other extraordinary items often pop up this time of year. Fortunately, many people embrace the holiday spirit of giving and are willing to go the extra mile to ensure success. Make sure that extra mile is safe by offering some additional or refresher safety training. No employee (nor employer) wants to manage a workplace incident report and claims protocol at Christmas time! There's something magical about the soft glow of candlelight during winter's cold stretch. If this popular holiday decor element is part of your business, go with faux to avoid accidents and injuries. Fake flames definitely are preferred in a busy retail setting! You don't want Black Friday to be black because of ashes leftover from a fire started by a candle. Don't sacrifice holiday safety for an amazing display. Before you start decking the halls of your business, think about what your decorations are made of and where you're putting them up. Paper and cardboard signs, trees, and wreaths, while festive, can be flammable. Avoid displays near heat and other ignition sources. What's more, don't obstruct emergency exit signs or overcrowd aisles in the name of holiday cheer. The "perfect spot" can't interfere with a safe evacuation should the worst happen. Do be smart about extension cords. Kudos to you for anticipating demand and avoiding stockouts! Your customers thank you! But please don't stack those boxes miles into the sky. Such a practice makes getting goods down dangerous for your workers and potentially for customers. It's tough to control objects that sit over your head, especially if they're massive. Do keep your "workshop" safe for everyone. Even Santa's elves scan the factory from time to time to make sure the facility is safe for workers! Run through a checklist that includes scoping out fire hazards, obstructions to emergency exits, overstocked shelves, slippery floors, etc. A holiday safety check should be part of your daily process to open and close up shop to maximize the well-being and productivity of your employees and customers. How do you keep up on safety at work during the holidays? Please share your holiday safety tips in comments!